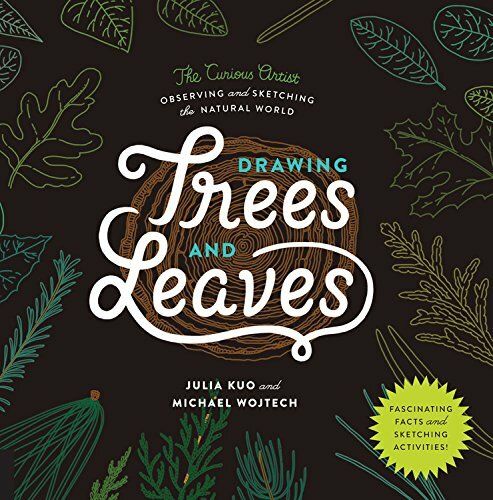 This book is a collaboration between artist Julia Kuo and naturalist Michael Wojtech. I bought this book because of the beautiful illustrations by Julia Kuo. I love the line art and clean colouring style. It reminds me of Katie Eberts art from Fresh Made Simple: A Naturally Delicious Way to Eat: Look, Cook, and Savor. This is an educational book that talks about the form and function of trees and their related parts, such as roots, flowers, leaves, etc. It covers subjects like photosynthesis, which is a process of how plants make food, how trees reproduce, how they survive the weather and the part they play in the natural environment with other animals. There are also several drawing exercises. You'll get to identify and draw different types of leaves, bark structure, flowers, fruits, tree shapes and more. After going through the book, one can't help but understand and appreciate trees more. The book's really enlightening and informative. The only downside is the double page spread is presented like a vertical spread, so you have to turn the book 90 degrees to read. This applies to all the pages. It's tiring to read the book like this with one hand at the top and the other at the bottom, instead of the hands side by side. And the worst thing is, that layout is unnecessary because most pages do not have art that go across the page gutter. I believe this layout was chosen because some trees can be drawn at full height to make their look taller, but that only happens for a handful of pages. Despite the layout, it's still a wonderful book because the content is great. If you like this book, do check out Nature Anatomy and Farm Anatomy by Julia Rothman.